﻿ Kuraburi Greenview Resort, Phang Nga | FROM $37 - SAVE ON AGODA! "Friendly Staff and delicious food offered by the resort reat..."
Have a question for Kuraburi Greenview Resort? "Good hotel good area and good staff." "The room so nice and clean." "It is a beautiful setting, built around a lake and the staff are very helpful." "The hotel is individual and has character." 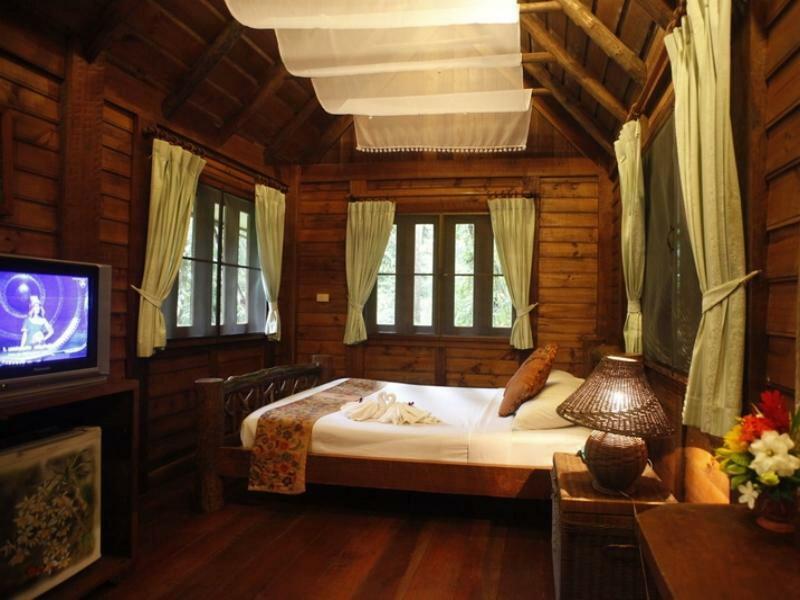 Located alongside the scenic Phuket and Sri Phang Nga National Park, these grand country bungalows overlook mountains and forests. Phang Nga National Park is reputed for its beautiful waterfalls and caves. A jeep safari to Khao Sok National Park, which has a rainforest older and more diverse than the Amazon, is also available nearby. 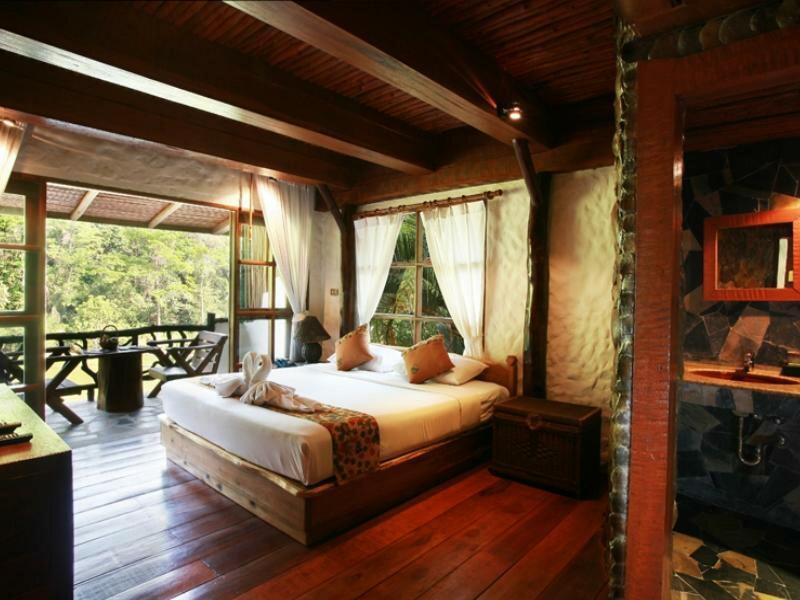 The rooms, designed in rustic style, are airy with plenty of windows, mountain or river views, and adorned with original paintings and local handicrafts. Snorkeling the colorful coral gardens of nearby Surin Islands Marine National Park or white-water rafting, jungle trekking, and bird-watching at nearby Khao Sok National Park are how guests can spend their time here. There is a golf course, swimming pool, massage parlor, and a good restaurant for those wanting to enjoy a relaxing day at the resort. [HOTELANME] is a choice accommodation for those seeking a hotel in a preferred location and a range of excellent amenities. Beautiful place. Very calm. Around small lake. Very close to the pier to surin island. Absolutely beautyful hotel. 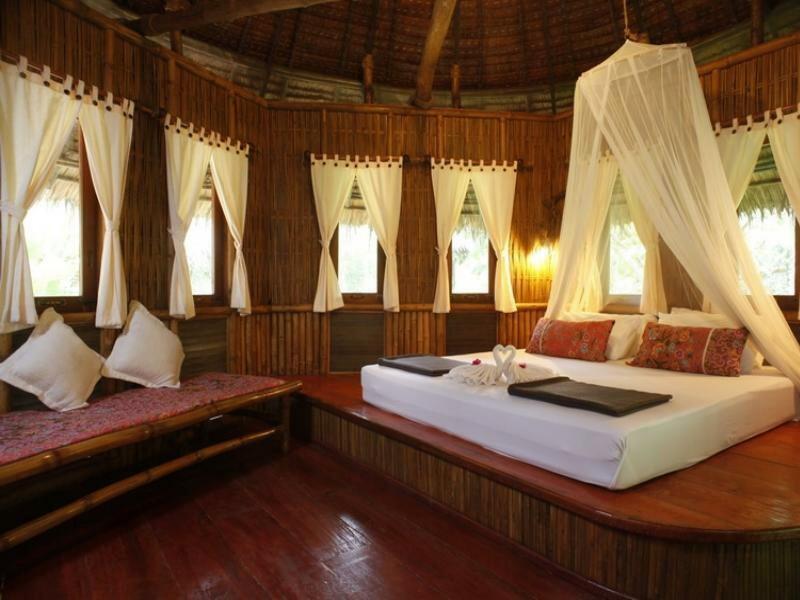 Perfect to relax if you want to go to Surin or you come back from. Into a green corner with awsome huts and delicious breakfast. Far from Khura Buri down town, about 13Km. Excellent staff. Perfect!!!!! Top little overnight spot between Phuket and Ranong. Very good room options and all great value. Good ammenties and very helpful staff - good english. Rooms were tidy and designed well to fit into environment. Defintely reccommend to break the day up or for a romantic weekend break. Good hotel good area and good staff. The room so nice and clean. I WOULD GO BACK THERE AR ANYTIME ! 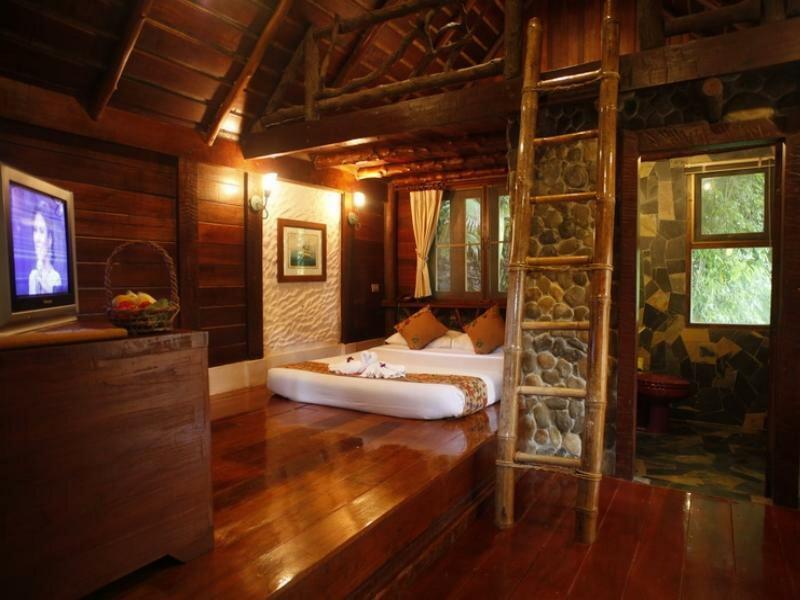 Awesome bamboo bungalow, and clay bungalows. Friendly Staff and delicious food offered by the resort reataurant. GREAT JOB Kuraburi Greenview Resort owner and staff ! This hotel has so much potential. The setting is in a beautiful small valley so you really feel close to nature. However, it's an older hotel, so everything is quite run down and everything seems to have a layer of grime on it. I think my room had not been used in a while because there was gecko lizard droppings all over the bed, and everything was dusty. Since the hotel doesn't have many guests, there is no buffet for breakfast, only a set menu. The food was average. And the hotel is in the middle of nowhere. There is not any food or shops nearby. The staff was great though -- very friendly and helpful. But this would be a really special place if the owners just invested in keeping it clean and better maintained. The hotel is individual and has character. It is a beautiful setting, built around a lake and the staff are very helpful. The restaurant serves the best food we have eaten in Thailand and we ate there every night. The swimming pool is in a magical setting and is beautiful. The excursions organised by the hotel are well organised and take you to see the real Thailand, a little of the beaten track, with an excellent guide. The location is great, as you are not far from the coast or rainforest. The snorkling trip was the highlight of our holiday. There is a small cafe next door which serves great sandwiches and you cijan buy snacks and drinks. We will certainly be returning. Lovely hotel, with great staff. It felt like you were near the forest but with all the facilties you need. The restaurant serves excellent food, either Thai or Western. And highly recommended are the trips led by a local guide. The trips we went on were the highlight of my Holiday, both the snorkling trip and the walk through the rain forest to the 63m high waterfall to swim on the pool below the waterfall. It was magical. I have never seen such a variety of fish whilst snorkling, even on the Great Barrier Reef and the guide went the extra mile to tell us everything about the area. His English is excellent. I would recommend the snorkling even for non swimmers as a life jacket was provided and the guide used a rubber ring to tow the non swimmer round the reef. The hotel and trips organised by the hotel are highly recommended. The bungalows are gorgeous, lots of detail has been put in to this accommodation. We had a fan only room and found it to be cool enough. The pool is great and the setting is absolutely beautiful. The only thing we found a bit hit and miss was the staff. They were brilliant at helping us catch a bus etc. But the restaurant staff were slow and unaccommodating at times. We stayed at this resort on our way from Krabi to Ranong. 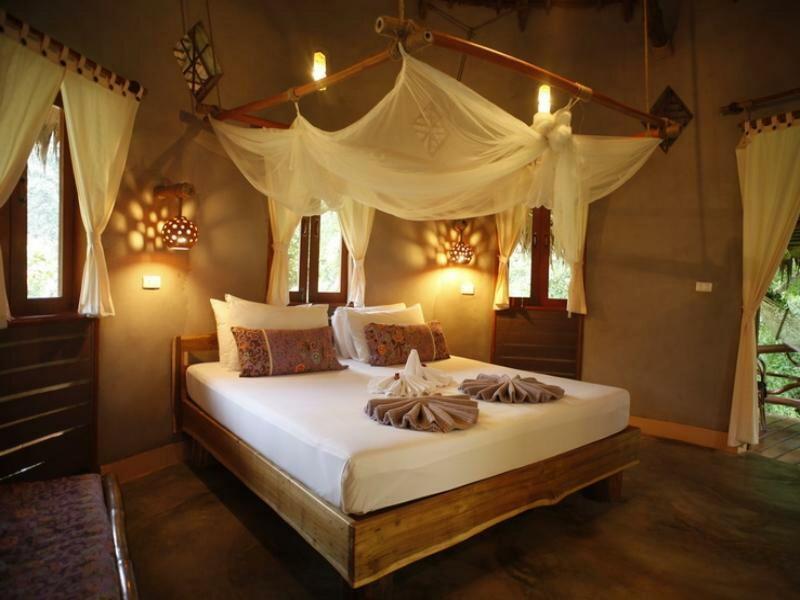 It is a truly delightful resort with an interesting style and set up. The bungalows are all very quaint and suit the style of the main building. We stayed in a clay hut which is lovely. The outdoor shower is perfect! The food we had in the restaurant was authentic and tasty. The bungalow was located between a pond and a creek and surrounded by trees and shrubbery. This gave a great feeling of "nature". The view at the hillside across the pond, with the main building's reflection in the water, was a great thing to wake up to. However, the small swimming pool was located in a semi-permanent shade, so the water was relatively cold. And the breakfast buffet was a disappointment. We enjoyed the nature of the resort the most. It is truly an escape from the city. The lake was beauty. Clay house no.1 is perfect spot to get the view of the lake and the small waterfalls. The food was excellent for those who love spicy authentic Southern Thai food. The a la carte breakfast was nice and filling. Staff were polite. What an amazing find this place was. We stayed in the clay hut, kids thought it was brilliant. The room was quirky and spacious. The setting was stunning. Great little pool, though a tad old, the kids still have fun. The staff were friendly and helpful. The resort is located in a mountain area but it was not a quite place as we expected. We could hear sounds of cars and trucks during the night. But the restaurant is good. They serve tasty pasta. Thai food is also great. We ate there 8 times during our stay. It was our fourth stay at Kuraburi Greenview Resort and we will come back at our next trip. Staff was always competent and friendly and the rooms were clean and nice. Despite not located at the sea is the resort good for having some peaceful holiday and activities in the nature. Their organisation of our "Surin Island package" via the Greenview travel agency was top. We enjoyed the lovely natural environment (green tress everywhere), including paddle on the lake and dip in the pool. Considering what we paid, the deluxe cabin bungalow was a mega bargain and breakfast was fine. We had a car, which helped. our experience was one of the best we had in Thailand.The resort was a gateway to many activities, our room was very clean & comfortable, the staff were friendly & efficient, the food was very good!The surroundings were pristine! Free wifi, delicious Thai food at an affordable price! Great hospitality. We stayed for two nights and the service was great! There are no convenient stores nearby, so be sure to stock up on nibblies if you are staying for a few days. The restaurant serves delicious, authentic Thai cuisine that we loved! Highly recommend this place if you are a nature lover in need of a city getaway. Nice clean room. Good sized balcony. Really chilled place just to sit and look. Nice sized pool with towels. Staff very helpful, we arrived on the bus and a chap was out to help us with our bags like a shot. Good selection of rooms all looked very nice. The only drawback is that you really need transport. The hotel arranged a motor bike for us.